Get those boss girl vibes in this blazer dress. 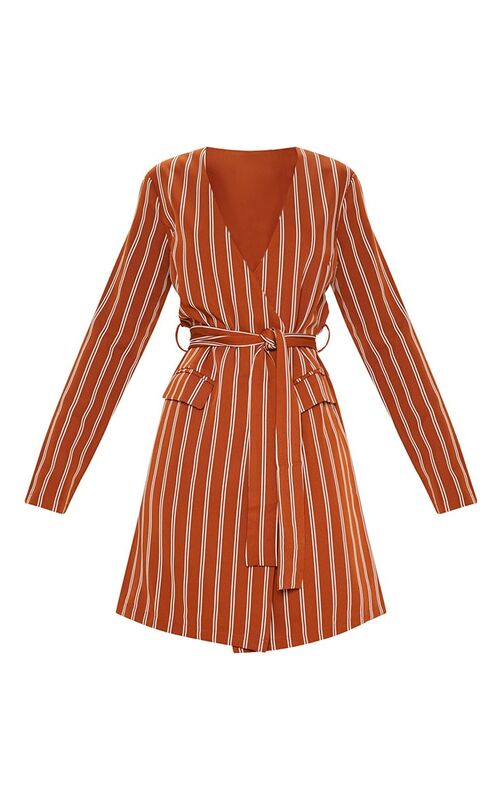 Featuring rust striped pattern, pocket detailing and a tie belt. We love this styled with gold strap heels and simple accessories to complete your weekend attire.